Are you about to visit Las Vegas for the first time? Discover which are the only four casinos that you should not miss! 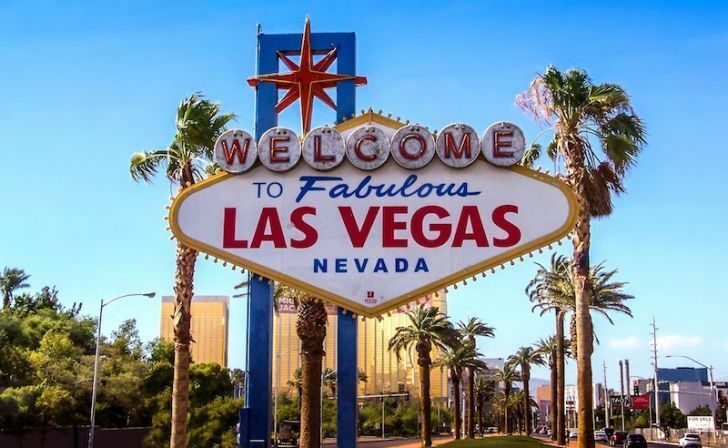 The great number of luxurious, sophisticated and shiny casinos that populate Las Vegas are probably the main reason why people from all over the world visit this city in the middle of the desert. However, unless you plan to spend several months in Sin City, you will not get the chance to visit all the gambling room in Vegas. So, which are the best casinos to visit during a short trip to Las Vegas? The world famous Caesars Palace is provably the most famous and visited by gamblers and tourists. Step in there and you will feel like you are back to the time when Romans were known for far more than pizza, ice creams and FIAT cars. Massive marble columns, high ceilings, amazing fountains and beautiful statues make this place extremely luxurious. You should definitely know that the Caesars Palace is probably the most expensive casino in Las Vegas - so be careful before you try to get into the games with the highest limits. The Caesars Palace offers over 2,000 machines between slots and video poker, together with an impressive amount of roulette, craps and blackjack tables. If you want an authentic gambling experience, that‘s for sure the best place for you. Luxurious, stylish and classy, this is how people in Las Vegas like to describe the Bellagio. Built in the Nineties, the Bellagio is internationally known for its elegance and is considered to be one of the few true icons of Las Vegas. If you love to play poker, this is the place for you - as the Bellagio’s luxurious poker room is considered to be one of the the best poker rooms in the whole Las Vegas. Yet, the most famous feature of the casino are the dancing fountains in Lake Bellagio, right at the entrance of the casino. The unique and gorgeous water, light and music shows attract thousands of people every day and are considered to be a ‘must-do’ for every trip to Las Vegas. To make sure you will not miss the show while you are there, simply ask about it at the reception of your hotel - even if you will not be at the Bellagio, they will know how to help you. While you visit The Bellagio, also try not to miss the world-famous circus Cirque du Soleil show - it’s probably the best show you will ever find in the whole Las Vegas. It is the largest casino and entertainment complex in the whole United States with almost 16,000 square meters dedicated to casino and gambling games. 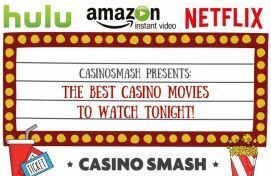 This giant casino offers numerous gambling options, with over 3,700 machines between slots and video poker and 160 tables for blackjack and craps. The MGM’s gigantic casino is always full of people and excitement. If you plan to go to Vegas with your kids, keep in mind that there is a Child Development Center quite close to it, so you can leave them there while you focus on your bets. The MGM Grand was one of the casinos that Danny Ocean (Hollywood star George Clooney) and his crew robbed in the one the best Casino movies of all times: Ocean's Eleven (2001). Architecturally astonishing, The Venetian is a beautiful and big casino that features a huge poker room, over 2,500 slots and more than tables for roulette, baccarat, blackjack and craps. If you love Venice and its singing gondoliers, this is the right place for you - as the Venetian recreates the world-famous Italian city very well. Before you leave Las Vegas, make sure you get some time to visit the Venetian, ride a picturesque gondola and enjoy the perfection of the only Venice in the world…without pigeons! Get a New Laptop with Beverly Hills 902010 on NetBet!